That’s right kids, if you’re like me, and a HUGE fan of the show, this is definitely heartbreaking. But io9 is reporting that at the recent TCA Winter tour, AMC made the announcement during their presentation. Though what was a surprise to me, was that io9 reported the show will come to an end after it airs it’s remaining episodes. I personally didn’t realize that in it’s last finale, that was the midseason break… helluva a midseason break… but the show will return on March 24th, air the remaining 8 episodes. And then that’s it boys and girls. I don’t know how well INTO THE BADLANDS was performing on AMC, but it’s definitely one of the network’s most expensive shows to produce. So if it hasn’t been performing well, or even just decent, I can see why it hit the chopping block. But it being a midseason break, I definitely wish the network would’ve given the the show one more season to wrap things up. But given the long break, we can only hope that AMC gave the showrunners a head’s up to they could retool the remaining episodes to give the fans some closure. But we’ll see. From io9, here’s the logline for the upcoming episodes. You know, as a little refresher from where we left off, and what you can expect next month. 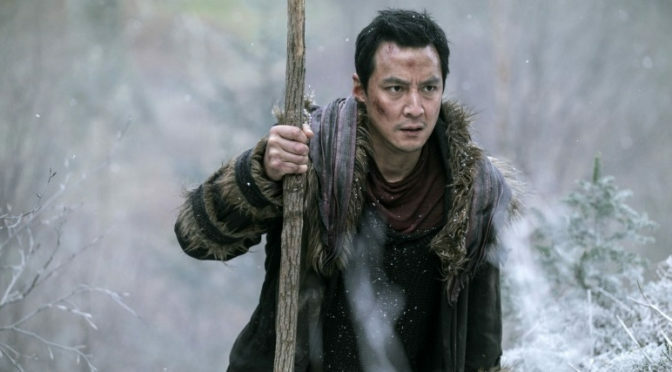 Again, INTO THE BADLANDS returns to AMC on March 24th. So how do you feel about INTO THE BADLANDS coming to an end? Drop your thoughts on the Fuzzybug Facebook Page.